The team’s Season 5 challenger is officially called the Mahindra M5Electro but ahead of the first race of the season in Saudi Arabia this weekend, the team held a vote to give names to the individual cars. Yup, Electro McElectroFace, in honour of the famous Boaty McBoatface. 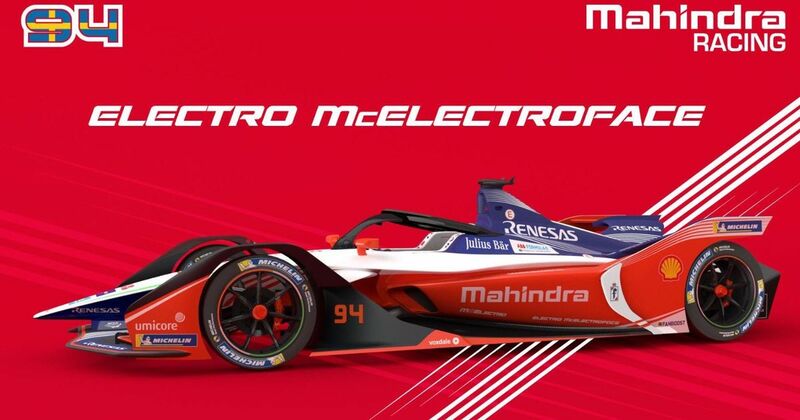 However, unlike Boaty McBoatface, Mahindra has actually honoured its vote and the name will stick with the car throughout Season 5. Props to the team for actually going with it!